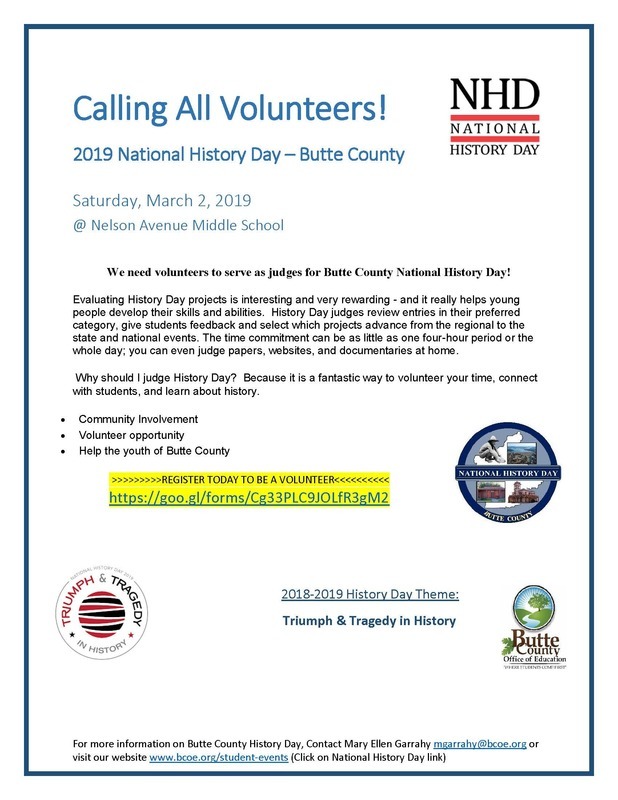 We need volunteers to serve as judges for Butte County National History Day! Evaluating History Day projects is interesting and very rewarding - and it really helps young people develop their skills and abilities. History Day judges review entries in their preferred category, give students feedback and select which projects advance from the regional to the state and national events. The time commitment can be as little as one four-hour period or the whole day; you can even judge papers, websites, and documentaries at home. Why should I judge History Day? Because it is a fantastic way to volunteer your time, connect with students, and learn about history.